The Delhi High Court was yesterday informed by the AAP government that there was a shortage of over 27,000 regular teachers in the government schools here. New Delhi: The Delhi High Court was yesterday informed by the AAP government that there was a shortage of over 27,000 regular teachers in the government schools here. 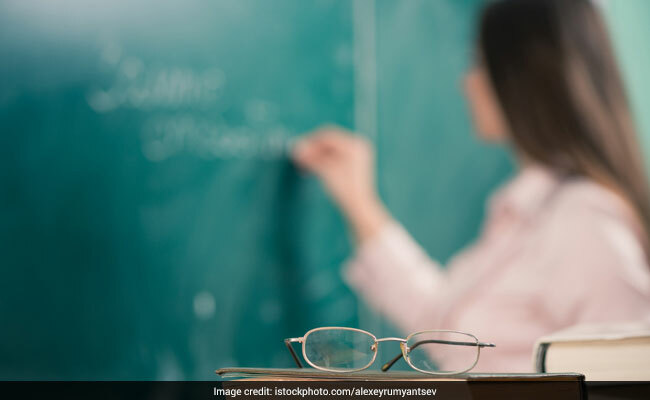 The Directorate of Education (DoE) of the Delhi government, in an affidavit, said as of April 1, the sanctioned regular posts of teachers were 64,263 and the vacancies were 25,337. Since according to the DoE, the sanctioned regular posts as of date are 66,736, there would be a parallel increase in the vacancies also to 27,810 as the affidavit is silent on the point of any appointments made after April 1, 2017. The affidavit, filed through Delhi government standing counsel Ramesh Singh, said the total regular sanctioned posts of teachers as on January 1, 2010 were 41,988 which has been gradually increased to 66,736 as on date. The matter would come up for hearing on November 20 before Justice A K Chawla. The High Court was hearing DoE's plea seeking vacation of the stay granted on September 27 on the process of appointing guest teachers and promoting those appointed since 2010 in the government schools so that it could fill nearly 9,000 vacancies. It had said its interim order of stay will continue. The Delhi government had said the stay order was causing serious problem to students who were suffering due to shortage of teachers. The AAP government has filed the application in a pending contempt plea filed by NGO Social Jurist, represented through advocate Ashok Agarwal, seeking a stay on the order of the Delhi Subordinate Services Selection Board (DSSSB) withdrawing a notice on appointment of 8,914 school teachers. On September 27, the court said it had directed the Delhi government to maintain status quo with regard to fresh appointment and promotion of guest teachers as regulars in its schools, after it was informed that the authorities have not complied with the high court's 2001 order. The court was also informed that a bill was recently passed in the Delhi Legislative Assembly to regularise all guest teachers appointed since 2010. The NGO's plea said after a high court order of April 11, the DSSSB issued vacancy notice on August 7 inviting applications from candidates for 8,914 teaching posts in the DoE of the Delhi government and for 5,906 teaching posts in the three municipal corporation schools here. It alleged that the DSSSB, without informing or seeking permission from the court, had on August 24 "abruptly withdrawn the advertisement" regarding these vacancies.